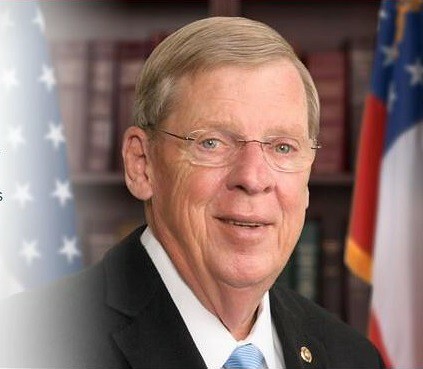 The Common Ills: Isakson to Hold Field Hearing on Veterans Choice in Gainesville, Ga.
Isakson to Hold Field Hearing on Veterans Choice in Gainesville, Ga.
WASHINGTON – The Senate Committee on Veterans’ Affairs, chaired by U.S. Senator Johnny Isakson, R-Ga., will hold an oversight field hearing on Friday, August 21, 2015, to examine the Department of Veterans Affairs’ (VA) implementation of the Veterans Choice Program and how issues Georgia veterans are experiencing echo a larger, national problem. At the beginning of this Congress, Isakson declared his top priority as chairman to be overseeing the implementation of the Veterans’ Access to Care through Choice, Accountability and Transparency Act to ensure the VA fully and efficiently utilizes the Veterans Choice Program to improve the quality and timeliness of care. This hearing is the third in a series of oversight hearings on the program, which allows veterans to receive health care outside the Department of Veterans Affairs if they meet certain criteria. The hearing is open to the public and press are invited to attend. Isakson will hold a brief media availability immediately following the hearing. The hearing will be available online via an audio livestream at www.veterans.senate.gov. WHAT: The Veterans Choice Program: Are Problems in Georgia Indicative of a National Problem? See below for the witness list. Dr. Waymon Duane Williams, Georgia State Leader of Iraq and Afghanistan Veterans of America, Inc. The Senate Committee on Veterans’ Affairs is chaired by U.S. Senator Johnny Isakson, R-Ga., in the 114th Congress. Isakson is a veteran himself – having served in the Georgia Air National Guard from 1966-1972 – and has been a member of the Senate VA Committee since he joined the Senate in 2005. Isakson’s home state of Georgia is home to more than a dozen military installations representing each branch of the military as well as more than 750,000 veterans.